Built a new coffee table / bench / table / I guess it could be anything! 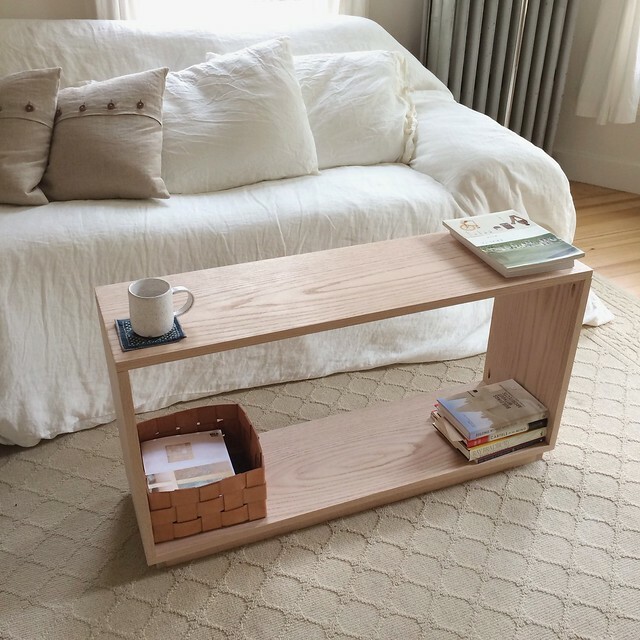 We used oak and our kreg jig and it was a pretty easy project. Inspired from a Muji bench we saw. 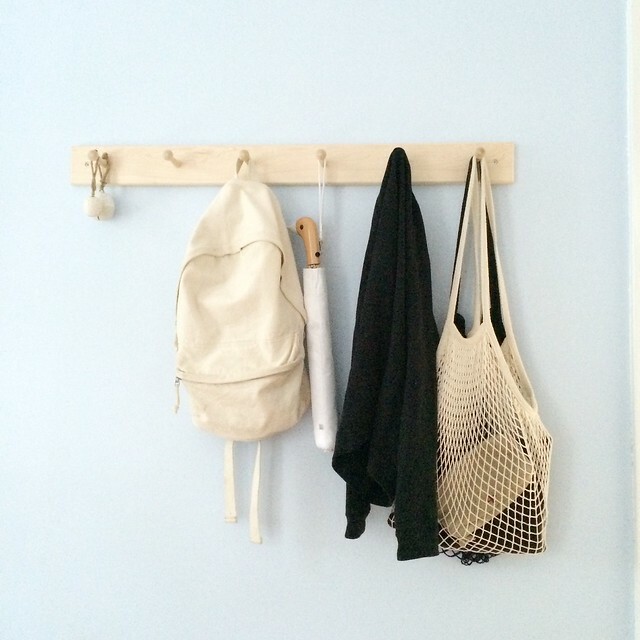 A little less of a "project", but we hug a peg rack in our bedroom, it's a very small room, barely enough room for a bed, and due to the small size seems to get messy easily because we can never put any other furniture in it. Thus, this seemed like a good solution for containing the clutter. p.s. I found a white duck umbrella! I never thought it would happen!